SSC CHSL Application Form 2019 – Staff Selection Commission (SSC) has activated the link to check the status of SSC CHSL Application Form on March 09, 2019 at ssc.nic.in. The candidates who have filled the application form can check the status by entering the registration id. The registration window will remain open until April 05, 2019. The SSC CHSL 2019 Registration Fee can be submitted up to April 07 if online and up to April 09, 2019 if offline. The SSC CHSL Application 2019 Fee is Rs. 100/-. SSC is inviting the application form from the candidates who have completed the 12th and are in the age group of 18 to 27 years. Get here all the information about SSC CHSL 2018 Registration. Latest: The application form filling last date is April 05, 2019. Scroll down to apply for SSC CHSL 2019. SSC has released the notification for the SSC CHSL 2019 Recruitment. The notification contains the entire details about the examination. But the vacancies are not introduced by the Commission, this will be defined in due course. Apply Online: Click here to fill the SSC CHSL Application Form 2018. Application Status: Click here to check the application status of SSC CHSL 2019. For registering the SSC CHSL the prerequisite is ensuring the eligibility. If any candidate meets the eligibility criteria described below can fill the form. Age Limit: The candidates must be in the age group of 18 to 27 years. However, age relaxation is also provided. Educational Qualification: The minimum qualification is Higher Secondary/12th form a recognized board. As we only have the SSC CHSL Application Form 2018 related dates for SSC CHSL 2018, and being lack of solid information of registration fee, we are providing the details as per the last year application fee. Rs. 100/- was charged from unreserved category candidate. Registration Fee was Nil for SC/ST/PWD/ woman candidates of all category. Offline – For offline payment, the candidates have to generate the SBI Challan. To make the registration successful, some documents are essential. Hence we are providing the list of such documents here. 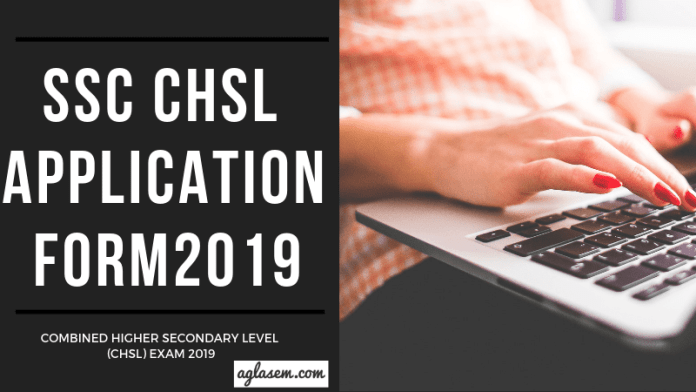 The documents are required to fill the SSC CHSL Application Form 2019. To keep these document handy will make the registration process easy. Photograph 20 KB to 50 KB in jpeg format, and must be with a dimension of 3.5 cm (width) x 4.5 cm (height). Signature 10 to 20 KB in jpeg format, and must be with a dimension of 4 cm (width) x 3 cm (height). 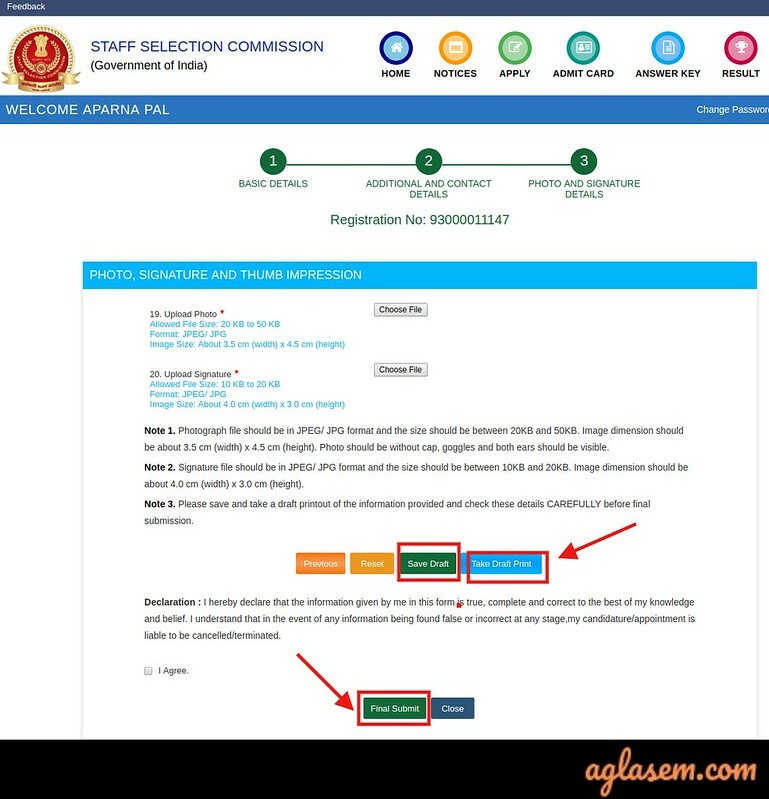 How To Fill SSC CHSL Application Form 2019? The candidates who have to ensure the eligibility for SSC CHSL can fill the form now. The application form link is provided above. At first, the candidates ahve to click on the link provided above, which redirects to the home page of SSC. 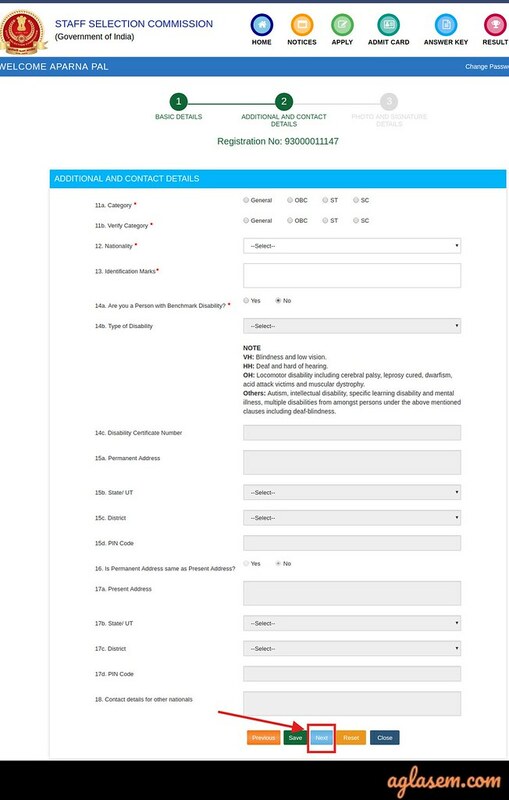 Then on the right side, the candidates have to click on the Registration link for a new user. On clicking the link the registration page opens. Here the candidates have to fill the following details. “Basic Details are saved. 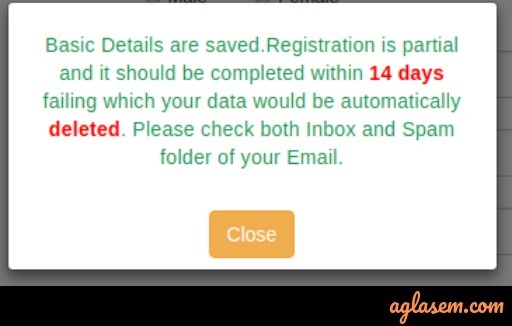 Registration is partial and it should be completed within 14 days failing which your data would be automatically deleted. Please check both Inbox and Spam folder of your Email”. Such a message will be shown to the candidates on submitting the registration details. After submission, aspirants will receive an auto-generated Registration ID and password on the registered mobile number. 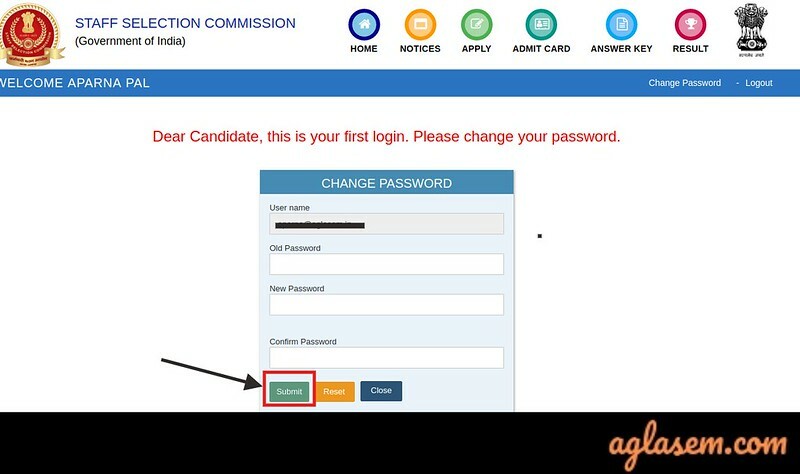 Now the candidates have to do a fresh login with help of the registration details. After doing the registration the candidates have changed their password. To do they have to put a new password which is containing one Capital Alphabet, one numeric, and one special character at least. The password should be at least 08 characters long. After changing the passwords the Additional and contact details page opens. Here the candidates have to fill the following details. After entering the details the candidates have to hit the next button. Now upload photo and signature as mentioned above. After uploading submit the information by hitting the “Save” button. Now save and draft the page. and take the print of application form. Last and final part is submitting the application fee. One can submit the registration fee through the available methods like SBI Challan/ SBI Net Banking or by using Visa/ Mastercard/ Maestro Credit/ Debit card. All three parts are mandatory to complete your registration process for SSC CHSL 2019, hence make sure you do not skip any part. At last, take the print out of the SSC CHSL Application Form 2019 from by logging in your registration id and password. Several times SSC CHSL Application Form 2019 of the aspirants gets canceled by the commission due to many reasons. One of that reason is the mistakes occurred while applying. So SSC provides a feature to check the Application Status after completion of application process. Also, you can check the reasons behind the SSC CHSL Application Form 2019 rejection. If the fee is not received by SSC. The photo which is uploaded is blur or not in the format. Any incorrect details in SSC CHSL Application Form 2018. Fee submitted offline but not recorded in the SSC CHSL Application Form 2018. After the completion of the SSC CHSL registration process, the candidates who will fill the application form in time will be issued the admit card. The admit card will be issued at the official website at ssc.nic.in. The candidates will be issued the admit card for Tier I later the admit card for Tier II will be issued. To fetch the admit card the candidates have to enter the registration id and password. The only mode to download the admit card will be online apart from that no other mode will be available.